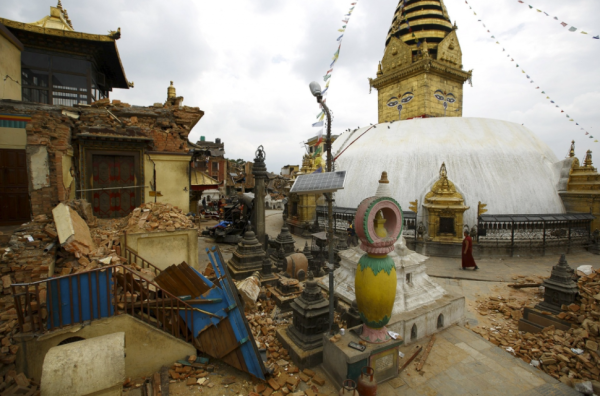 This most recent devastating earthquake in Nepal and surrounding areas urges one to think, yet again, what can I do that will help relieve the suffering of the wounded, homeless, hungry and frightened beings effected by such destructive events? Clearly, material aid is the first consideration but can I also harness the power of mind to relieve this suffering? And how do I stay hopeful and positive in the face of what sometimes seems like increasingly troubled and violent times? Daily, we hear about the dangers of global warming and warnings about increased droughts, flooding, rising sea levels and record severe weather events in our country and around the world. Stories of terrorism, war, injustice and horrifying violence circulate continuously. Apart from giving money to be transformed into appropriate aid for those suffering in places like Nepal, the Buddhist practice of tonglen is of great help to those in need and also supports one’s own peace of mind through developing genuine altruism. There are many different teachings on tonglen practice and a range of practices to choose from but what is coming to me most strongly now as I yearn to help those suffering in Nepal – a country I have been privileged to visit a number of times – is very simple. In my daily meditation practice, I first establish calm by attending to my breathing and being fully present, aspiring to peace of mind and an open heart. Once this calm is established I start tonglen practice for those suffering from this particular disaster. The tonglen practice that I presently follow is, essentially, about breathing in the pain, fear, desperation and anger arising from extreme stress, loss and violence and then, as I breath out, I exchange such imagined emotional reactions for all the compassion, courage, acceptance and patience that has been accumulated through my life. I breathe in the imagined responses of the beings who are suffering and I breathe out and give to them the riches of my privileged life and the emotional qualities that I believe will be of most help when you are frightened, grieving and hurting from loss, hunger, cold and physical injury. On the in breath is their dark suffering and on the out breath is strength in the form of light. Tonglen is about drawing in suffering and exchanging it for compassion and positive qualities. Some teachers emphasise that, from a relative truth perspective, one is giving out from one’s own store of riches and taking into oneself the other’s suffering. Others make less emphasis on taking from oneself but instead create a visualised deity figure to take in and transform the suffering. As Judy Lief says,”the practice of tonglen is sometimes described as a practice of ‘exchanging self and other’… the goal of tonglen is “to flip the pattern of self-absorption around completely, to the point where instead of putting ourselves first, we put others first”. It is widely taught that compassion and generosity MUST accompany the development of wisdom. It makes good sense to me that the wisdom that constitutes right understanding and subsequent right action requires a compassionate open heart that puts others before oneself. Interestingly, it is my experience and the experience of innumerable others that when one is in pain – physical, mental or emotional pain – that pain is reduced when we move the focus from ourselves to a wish to reduce the pain in others. So if you, like me, are distressed by news of the great destruction and loss of life caused by both man-made and natural disasters, one of the best ways to maintain loving kindness, compassion, sympathetic joy and equanimity as we get hit with yet more ‘bad’ news is to dedicate time to tonglen practice. If you are interested in another form of tonglen practice, you can find one of my earlier posts dedicated to tonglen if you put ‘tonglen practice’ into the search menu at the top right of the page. 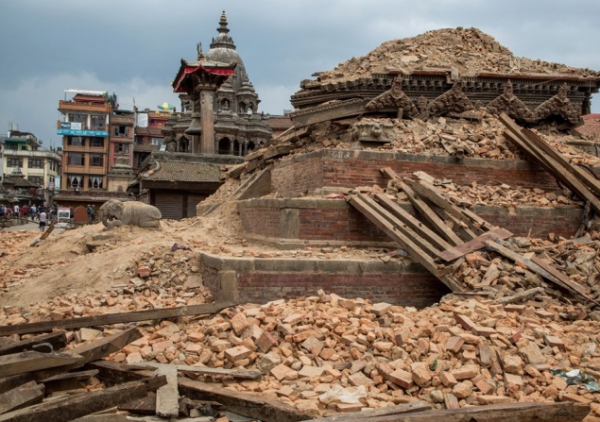 And if you would like to make a donation to help the Nepalese in their hour of need go to THIS LINK for a very good list of local and international organisations set up to provide humanitarian aid. Another excellent organisation providing emergency shelter is Tents 4 Peace, available on LINK. A helpful & timely reminder of how each of us can engage with the transformative power of suffering; how suffering can be a catalyst for growing what we wish to see and experience in our world – compassion & kindness. Thank you Jacqui – your generosity in sharing such wisdom acts as a beacon!! Thanks for this Jacqui; very nicely put and I will share it via facebook – a good message that is instructive and will help many convert their sadness and compassion into action. We have been sharing the sense of deep sadness for the people of Nepal with many friends in Albany. Seeing all those beautiful buildings and landscapes damaged is also very upsetting. when they are needed most.